Dr. Andrea M. Foley received her Bachelor of Science (B.S.) in Biology from Southern Illinois University Edwardsville in 2002. She then went on to receive her Doctor of Dental Medicine (D.M.D.) from Southern Illinois University School of Dental Medicine, graduating in 2005. At just 29 years of age, Dr. Foley became the sole proprietor of Foley Dental Group, LLC which was established in June of 2009. In addition to private practice, Dr. Foley is a Clinical Assistant Professor in the Department of Applied Dental Medicine at Southern Illinois University School of Dental Medicine. 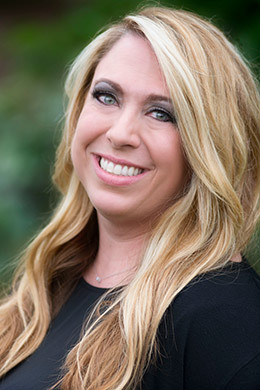 She is a member of the American Dental Association, Illinois State Dental Society, St. Clair District Dental Society, Madison District Dental Society, Academy of General Dentistry and Academy of Sports Dentistry. Dr. Foley maintains a commanding knowledge of the latest dental technologies through frequent reviews of dental publication literature and by attending continuing education courses. Dr. Foley has a passion for excellence and strives to help each and every patient to obtain the healthy, attractive smile they deserve.